In this month's newsletter we discuss Windows Server 2012 and we compare the latest versions of Office. HP have affordable solutions for small and medium sized businesses that are budget conscious and have limited in-house IT resources. 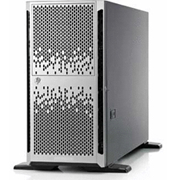 Ideal as an entry-level server for any growing business or if you are looking to scale up. To cloud or not to cloud - that is the question you have to answer before upgrading to the latest version of Office. For the first time ever Microsoft now gives you a choice: buy Office 2013 outright and it's yours or subscribe to Office 365 and pay a monthly (or annual) fee.